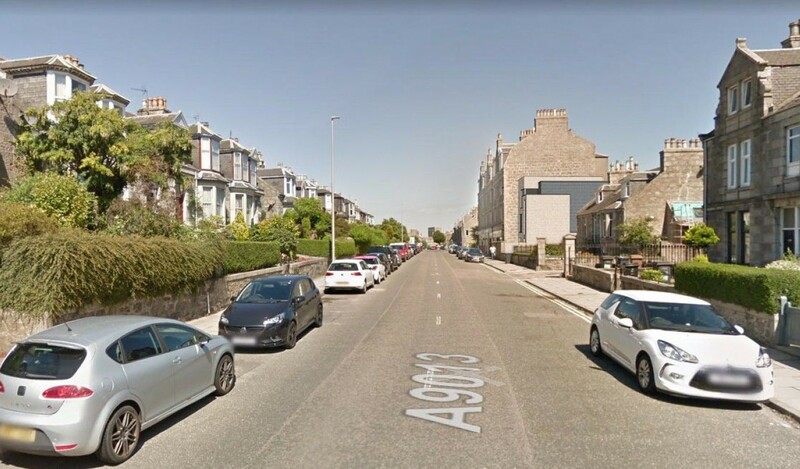 A generous garden off Aberdeen’s Holburn Street has been earmarked for a three-storey contemporary home under plans to subdivide an existing feu. Currently under the ownership of 325 Holburn Street the owner is keen to maximise the use of land to create a modern family home within an established neighbourhood having failed to win approval for a four-storey block of flats. 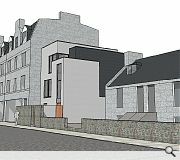 Slotting into an historic granite streetscape the contemporary property has been conceived by David Murray Associates to serve as a transition between neighbouring building lines while retaining a small front garden and retaining wall to serve as a street buffer. Finished in smooth render and fibre cement slates the villa would abut a powerful random granite gable, mediating in scale between the tenement and neighbouring semi-detached property by way of a set back which also helps minimise overlooking. Utter ....., from the same usual suspects in Aberdeen. 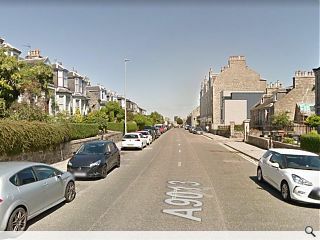 Everyone is to blame for this, Client, the Council, Architect; it's just not good enough. We all need to make money (and we should be making more) but this is just embarrassing and devalues our profession yet again by churning out the same again and again.